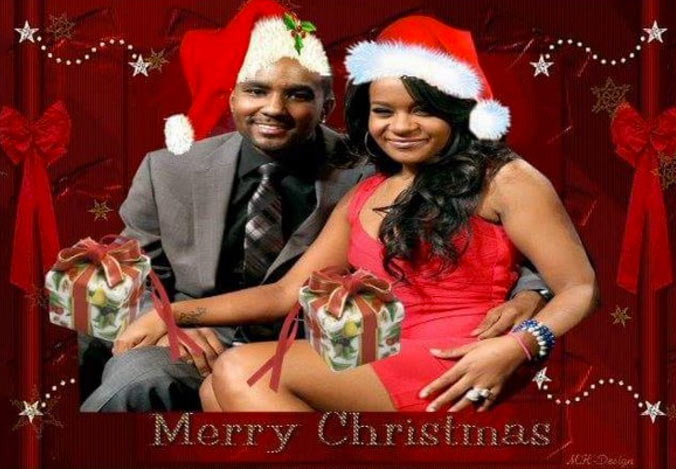 Nick Gordon posted a Christmas card on Twitter on Wednesday, December 23, that features him with his late girlfriend, Bobbi Kristina Brown. It&apos;s a controversial move by Gordon, who was hit with a $10 million wrongful death lawsuit in August, a month after Bobbi Kristina, 22, died. She never regained consciousness after being found unresponsive in a bathtub at her Atlanta-area home in January. Hargrove’s lawsuit also accused Gordon of both verbal and physical abuse, including an instance in which Gordon allegedly knocked Bobbi Kristina’s teeth out, as well as withdrawing money from her bank account. In October, an insider told Us Weekly that Gordon may face murder charges. Bobbi Kristina’s death was being treated as a criminal investigation. Meanwhile, Gordon has maintained his innocence. “The recent lawsuit against Nick is slanderous and meritless,” his attorney Jose Baez told USA Today in August. Gordon spent time in rehab in April after a bizarre appearance on Dr. Phil.